Washington Dulles Intl. - Pierre Elliott Trudeau Intl. Before you rush off to Gay Village on a whim, take some time to learn a few things about it. 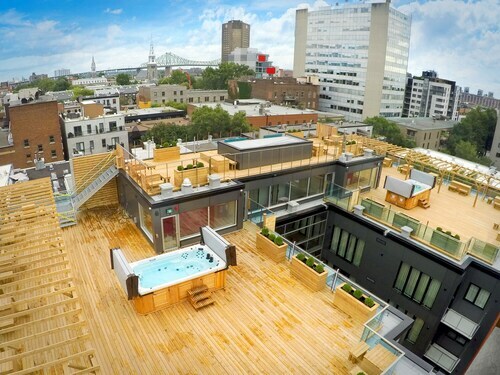 A neighborhood in Montreal, Gay Village is 1 mile (2 kilometers) north of the heart of the action. 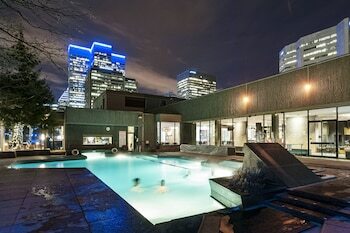 Travelers to Montreal will be sharing space with around 1,600,000 residents. Securing a hotel and airfare bundle deal via Travelocity is the easiest way to save heaps on your Gay Village adventure. 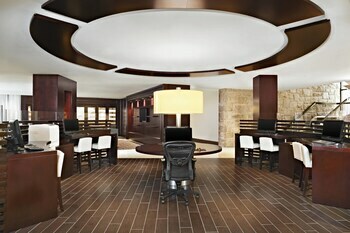 And also, you can pick from more than 400 airline partners and 665,000 places to stay. From flights and accommodations to car rentals and experiences, you've got the security of 24/7 personal assistance via our Customer 1st Guarantee. Found a better deal? We'll match the price and refund the difference^. With no hidden charges from us, you don't need to worry about having to change your vacation plans. 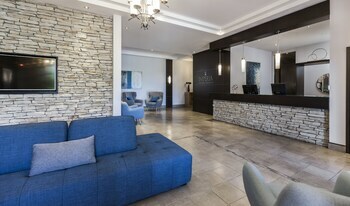 And as long as you get in quick, many accommodations don't charge fees either^. We hope you’ve packed your enthusiasm and a decent pair of shoes, because it's time to get to know Gay Village. With 111 places to base yourself within close reach of its center, exploring this popular neighborhood on foot will be a piece of cake. From time to time, we all need a bit of extravagance to spice up our life. 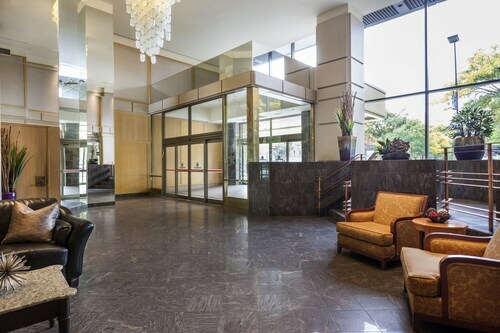 If you're searching for some upmarket accommodations around Gay Village, take a look at the Hotel Le St-James Montréal (355 Saint-Jacques Street) and the Renaissance Montreal Downtown Hotel (1250 Boulevard Robert-Bourassa). 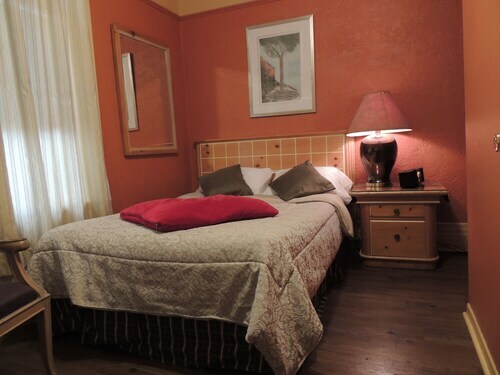 Their ultra comfortable beds and lush little additions will make you want to stay there forever! 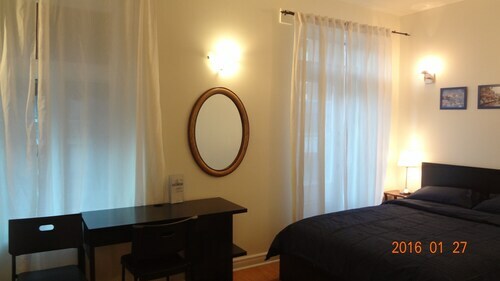 Though, if you're more of a shoestring traveler, have a look at the rates and rooms at the Loft Hotel (334 Terrasse Saint-Denis) and the La Loggia Art B&B (1637 rue Amherst). The last thing you want after a big day of exploring is a lengthy trip back to your room. Fortunately, the LikeAHotel - Les lofts, Vieux Montreal and the W Montreal are within strolling distance of Notre Dame Basilica. Where do you fly into for Gay Village? Take in the scenic view as you arrive at Pierre Elliott Trudeau International Airport (YUL). Pick up your baggage, pass through security and you'll be about 10 miles (16 kilometers) southwest from the middle of Gay Village. Can I rent a car in Gay Village? Grab a rental car via Travelocity for your trip around Gay Village. You're sure to happen upon some hidden gems while you're out on the road. Arriving via Pierre Elliott Trudeau International Airport? Once you're off the tarmac, you can collect a car within minutes. Thrifty Car Rental and Enterprise are worth considering. Consider renting a car from Enterprise at 1717 Rue Berri. They're right in the city center. Why don't you also check out Dollar Rent A Car? 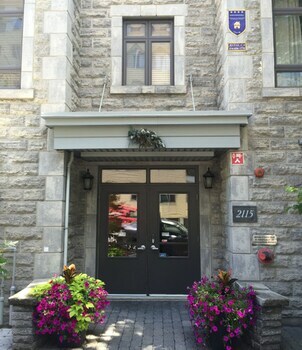 They can be found at 159 Rue Saint Antoina Quest. If you're planning to spend a night or two in Gay Village, you really should stroll over to Notre Dame Basilica. This world-renowned attraction belongs on every traveler's travel schedule. There's plenty to keep you occupied in this lively neighborhood. 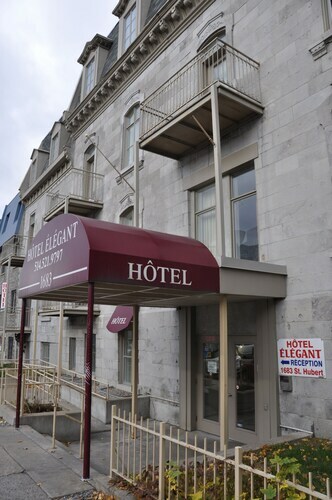 Significant attractions like Bonsecours Market and La Ronde Six Flags are a short drive away. You don't need to know your Van Goghs from your Matisses to enjoy an outing to Museum of Contemporary Art. It boasts an excellent collection of works that'll engage your interest and deepen your appreciation of art. Need more close by options? Even if it's drizzling, it's worthwhile taking a walk through Champ de Mars. Just open your umbrella and enjoy the fresh earthy smell. And there's more. Place des Arts hosts a range of events and performances across the year. Browse the calender of events to find your next activity. Take the chance to check out some nearby destinations such as Latin Quarter or Quartier des Spectacles. Latin Quarter is approximately 0.5 miles (0.8 kilometers) from Gay Village, while Quartier des Spectacles is 0.7 miles (1.1 kilometer) away. 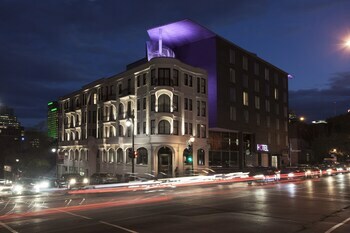 Located in Gay Village, this hotel is within a 10-minute walk of Sainte-Catherine Street and St. Denis Theatre. The Underground City and Old Port of Montreal are also within 1 mi (2 km). Berri-UQAM Station is only a 4-minute walk and Beaudry Station is 6 minutes. 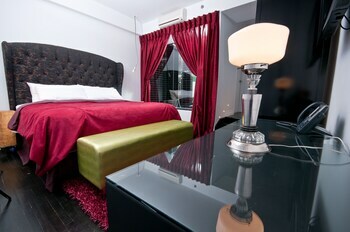 Located in Gay Village, this hotel is within a 10-minute walk of Sainte-Catherine Street and St. Denis Theatre. The Underground City and Old Port of Montreal are also within 1 mi (2 km). Beaudry Station and Berri-UQAM Station are within a 5-minute walk. 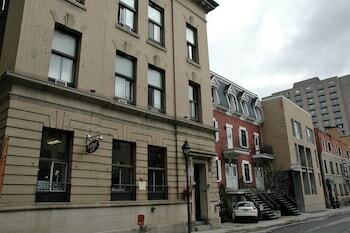 Located in Gay Village, this hostel is within a 5-minute walk of Sainte-Catherine Street and St. Denis Theatre. The Underground City and Old Port of Montreal are also within 1 mi (2 km). Berri-UQAM Station is only a 3-minute walk and Beaudry Station is 8 minutes. Located in Gay Village, this eco-friendly hotel is within a 5-minute walk of National Library of Quebec, Chapelle Notre-Dame-de-Lourdes, and St. Denis Theatre. Cinematheque Quebecoise and University of Quebec-Montreal are also within 5 minutes. Berri-UQAM Station is only a 2-minute walk and Beaudry Station is 7 minutes. 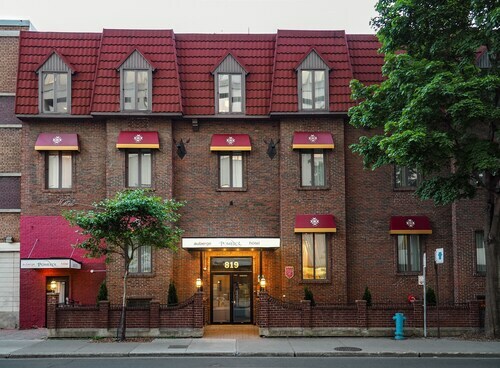 Located in Gay Village, this hotel is within 1 mi (2 km) of Old Port of Montreal, McGill University, and Notre Dame Basilica. Palais des congres de Montreal and Bell Centre are also within 3 mi (5 km). Berri-UQAM Station is only a 4-minute walk and Beaudry Station is 6 minutes.